The Wall Street Journal reported on Wednesday that acting attorney general Matthew Whitaker claimed incorrectly both on his resume and in government documents that he was awarded Academic All-American while playing football at the University of Iowa. Though he was a tight end from ‘90 to ‘92, a spokeswoman from the College Sports Information Directors of America says he was never a recipient of the award. His name is also absent from the list of Academic All-Americans on the official website. Whitaker listed the incorrect information on his bio at the law firm he worked at previously, a resume sent in to a patent marketing firm in 2014 and, more importantly, on documents released by the Federal Trade Commission in November, as well as a 2009 press release from the Department of Justice and his application to be an Iowa judge in 2010. According to College Sports Information Directors of America, Whitaker was actually given a lower All-District honor. 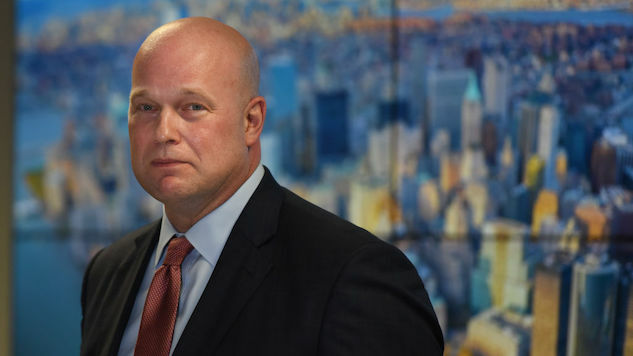 All-District honor recipient and acting attorney general Matthew Whitaker is likely to be succeeded by former attorney general and Trump’s reported pick William Barr. Qualifications for the job will be determined by ability to correctly cite collegiate awards.